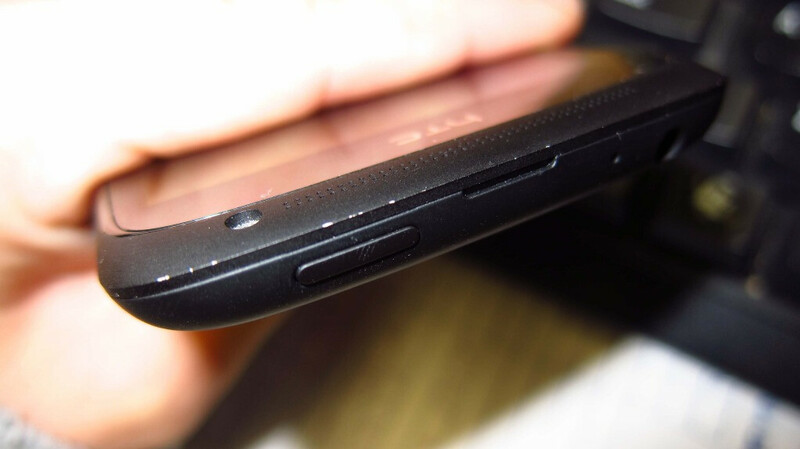 A few HTC One S owners were uploading pictures recently on the XDA-Devs forums and elsewhere that showed the oxidized ceramic metal coating chipping a bit at the upper end on the black version. Our own unit in the office doesn't exhibit these bruises, but it's only been a few days since we got it. Some blamed the sharp edge for the phenomenon, but regardless of the reason, the Micro Arc Oxidation method might make the frame stronger than stainless steel, but the coating is apparently not as sticky as it should be on some units. HTC now stepped up to its part of the deal, saying that "The finish on the One S was laboratory tested as being at a hardness similar to ceramic. While that's hard, it doesn't mean it's impossible to damage." Just to be safe, HTC says that the any units out there that exhibit the chipped coating, can be returned in stores within 30 days, or whatever the period in your country is, or if that period has passed, it will just be fixed under the standard warranty procedure. Oh, the teething problems with new materials. Still, we'd rather have phone makers experiment a little than play it safe with the standard boring chassis. 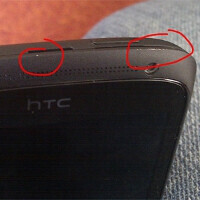 does the htc radar have the same micro arc oxidation process done to it? That's not really a solution if it can get bruised again. Its a problem similar to the Sensation trapping dust under the display where they told people they can replace it but dust would just be trapped again in the new one. Props to HTC for swapping out the units that exhibit chipping. I wonder what percentage of the handsets will be swapped. New materials inevitably have teething issues. What's the point of that? They should look in to it and make a change in the coating so it won't happen again. "Still, we'd rather have phone makers experiment a little than play it safe with the standard boring chassis." The chassis is still boring in my opinion but why would you like phone makers experiment a little on your costs? I beleive a company should experiment on their own wallet and if its working correct put it on handsets for sale.